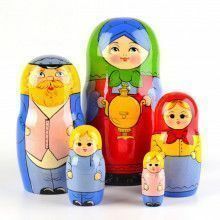 What a fun, family-oriented nesting doll. 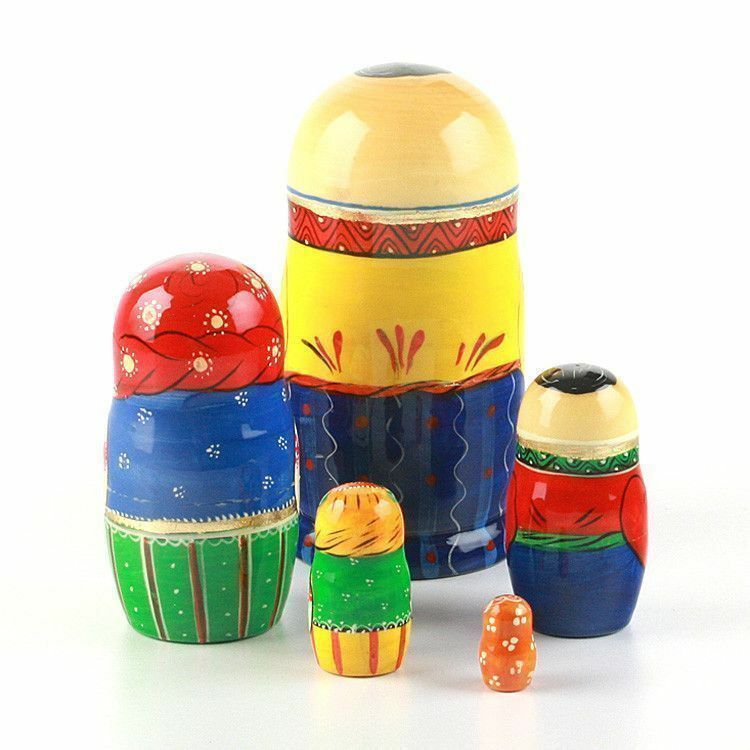 This set of five nesting dolls was imported directly from Ukraine. 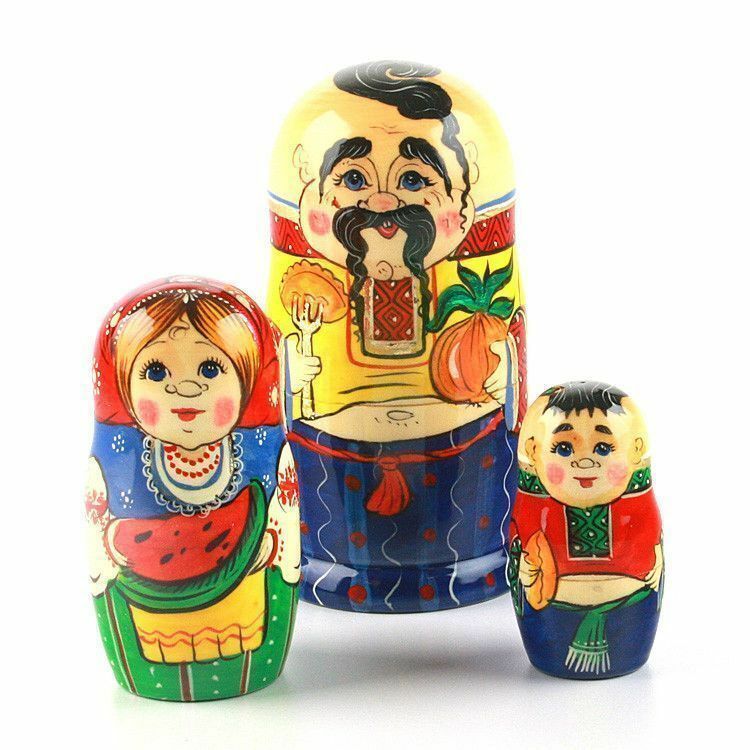 Each doll was hand-crafted by master Ukrainian artisans using traditional techniques that have been passed down through the generations. 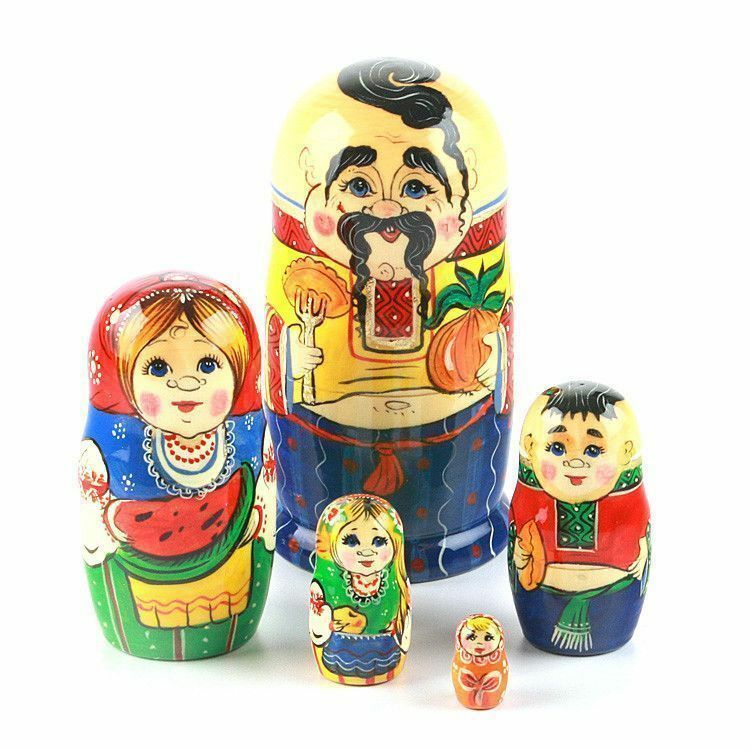 This set of dolls features a Ukrainian family throughout including the father, the mother, their son, and their two daughters. 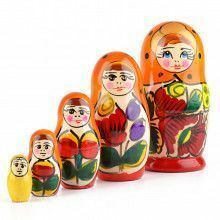 The largest doll of the set measures Approximately 6" tall. 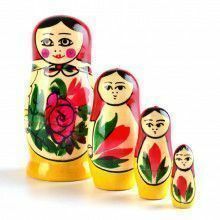 Open it up and reveal smaller dolls nested within. These dolls are all made of wood and hand-painted.